We think this very pretty mare wants a girl to love on her and braid her mane with pretty bows and turn her into a star in the hunter ring. We adored her very nice hunter movement, her pretty head, and her balanced build and sweet personality. “Nell” has beautiful, correct conformation. She looks bigger than she is because she has such a nice balanced build. She has a big barrel which we think will take up the leg of a taller rider and she will certainly continue to fill out once leaving the track. 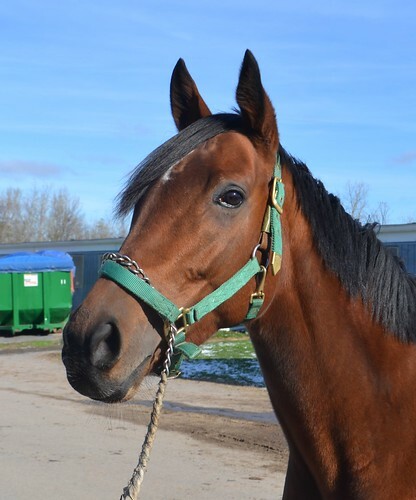 Little Nell has 50 starts under her belt where she has earned over $49,000 with 3 wins, 4 seconds, and 12 thirds. She won her last start on May 28, but her trainer thinks that she will have a harder time in the tougher competition she must now face, so it is time to retire her onto a new career. She is described as incredibly easy to work with and ride. She posed politely, and jogged quietly on a long loose lead, showing off very nice movement. 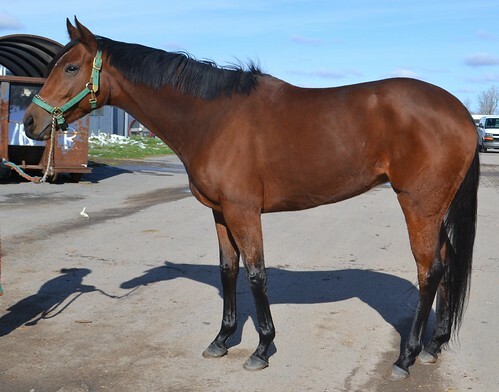 With her laid back demeanor and sweet personality, she could be a good choice for someone looking to get into the OTTB world who is working with an experienced trainer. Her owner/trainer tells us she has been turned out by herself over winters and loves turnout. This should help ease her transition into the post track life. 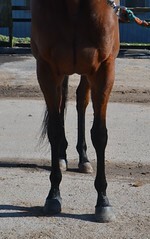 Little Nell is by Discreetly Mine, who is an AP Indy grandson, out of a mare who is a granddaughter of Broad Brush. 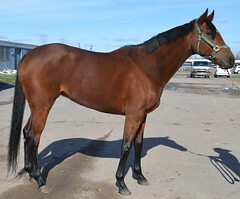 She is RRP 2018-19 eligible.